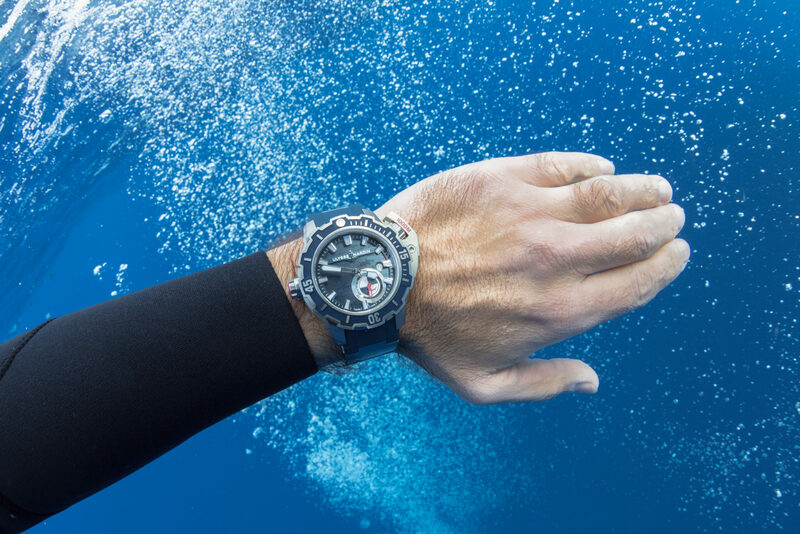 Ulysse Nardin is building on its reputation for creating extreme divers’ watches with the creation of the Diver Deep Dive in conjuction with free diver and photographer Fred Buyle. Mr Buyle, one of the world’s foremost underwater explorers, has spent most of the last three decades beneath the surface of the seas. He is renowned for his underwater photography during extreme free dives with the minimum of equipment and without breathing apparatus so that he minimises disruption to the marine environment. Combining his diving skills his artistic background has helped him to capture little-seen animals of the deep on film, tagging them for biologists in the process. 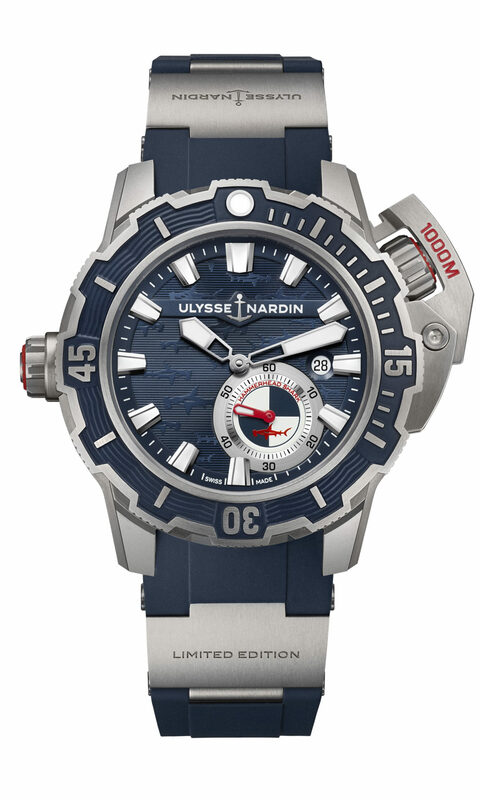 The Ulysse Nardin Diver Deep Dive is a robust, functional sports watch, water resistant to 1000 meters (the world’s deepest diver ever recorded as 253m), so Mr Buyle will never have to worry about the reliability of his timepiece. “Three things have fascinated me since I was small kid: bicycles, sailboats and mechanical watches. The three share one technical aspect, natural energy and a little bit of magic,” said Mr Buyle.